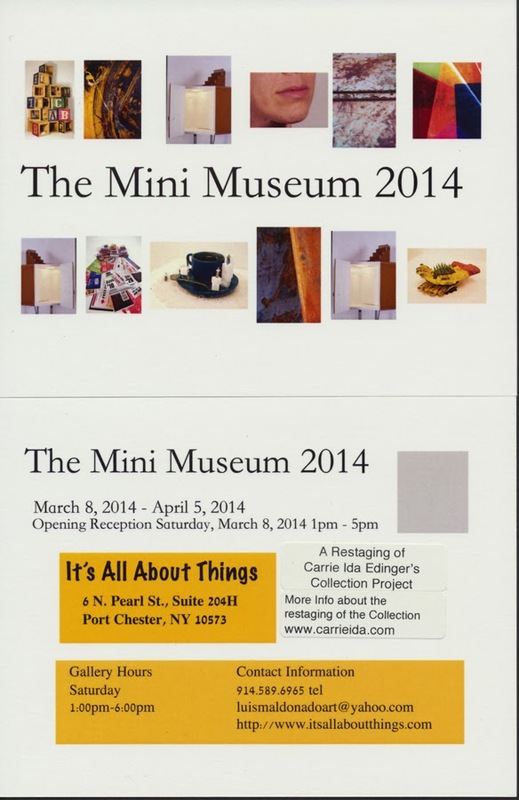 The 2014 Mini Museum Group Exhibit is the site for the March restaging of the collection project. The exhibit is from March 8th to April 5th at the It’s All About Things space in Port Chester, New York USA. 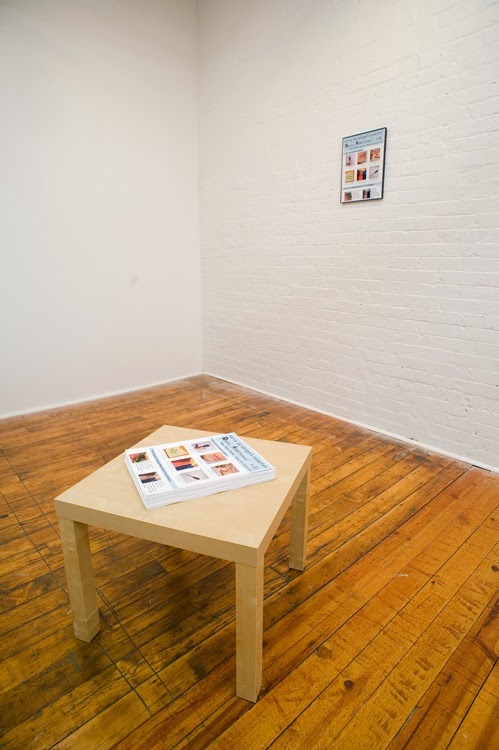 In my previous February 25th blog post, I presented the topic of the print media poster as a communicative means to promote and mobilize participants in the viewing process of Internet-based art within the gallery space. I wanted to mention the background to how the collection was chosen to be part of the group exhibit, along with the presentation in the gallery space. I answered a call for proposals to the mini museum concept. The mini museum is (approximately 14 in. x 10 in. x 13 in.) an architectural model of a “white space” gallery. An image of the mini museum is on the invitation card (on the left – 1st image, 2nd row under the text The Mini Museum 2014). I perceived the mini museum as an object unto itself in my proposal. The restaging concept for my Internet-based collection investigated the dichotomy of space in which a collection is presented for public viewing. The two spaces I considered are a physical space (museum) and cyberspace (a website). In my proposal I stated that the mini museum is an object that visually represents a traditional form of where a specific collection is usually exhibited or stored. I intended to exhibit digital information in the form of visuals (QR Code and Text of a website link) in the mini museum space. These visuals would have presented the mini museum as a restaging site to present digital media characteristics used with social engagement to view an “online” collection and to consider objects beyond a “fixed” identity. Even though my proposal didn’t get chosen for the site-specific mini museum, I was included in the accompanying group exhibit. This opportunity has enabled me to consider some of my presentation concepts with digital information in a different manner within a gallery space. In about a month’s time before the mini museum exhibit opened, I corresponded and brain stormed with Luis Maldonado, President and Founder of It’s All About Things. Our conversations covered topics from the use of digital devices in the gallery space to a discussion of which had more impact the wall or use of floor space. We both agreed to keep the presentation to a minimum. The included image was made during installation of the table and the posters in the It’s All About Things space. The most recent additions for the collections project are the video clips added to the Interaction with Color Collection for February 2014.